Sometimes after a long day your looking to refuel but want something a little more complete than the regular fast-food options. 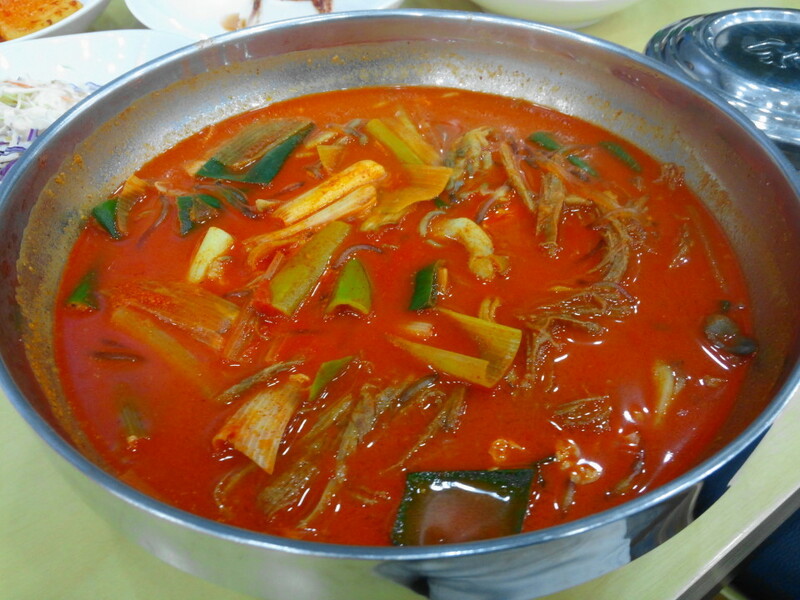 Of course Korean cuisine has a almost uncountable number of different soups / stews, however one of the more popular and one of our favorites is Spicy Korean Beef Stew or YukGaeJang (육개장). 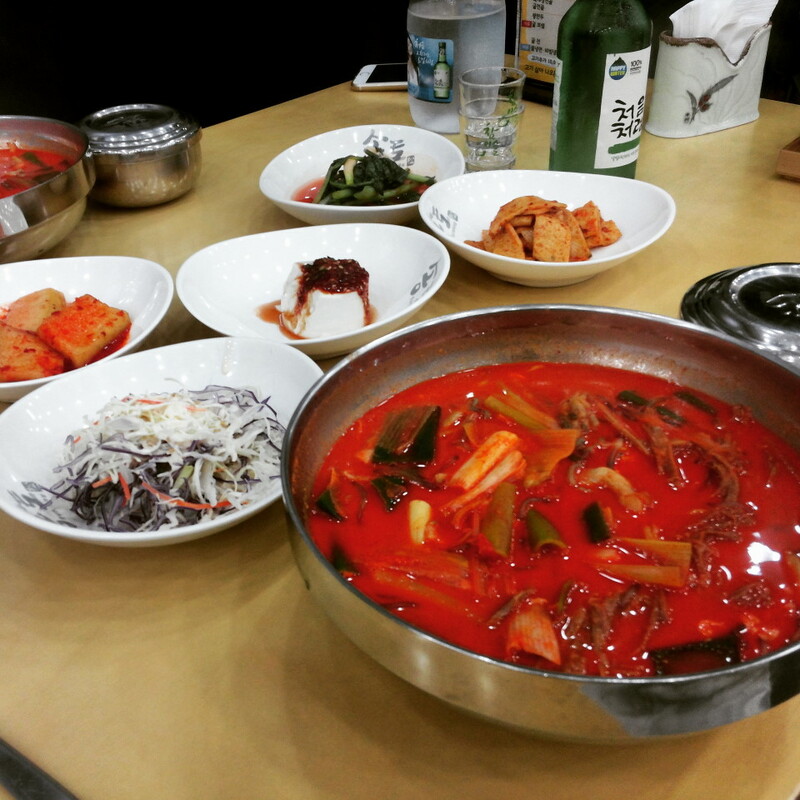 This soup was a favorite also for the royal courts during the Joseon dynasty. The stew is a combination of shredded beef, onions and other vegetables plus chilli powder cooked slowly. 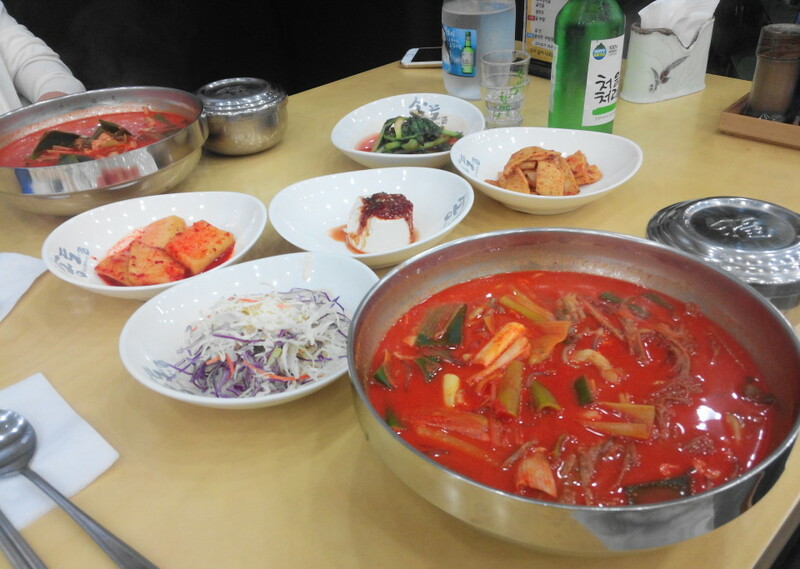 Along with a number of side dishes and rice this meal defiantly fills you up. The only warning comes in the spice level, it can be very spicy, and so if your tolerance is low you should ask for a weaker version (which is still pretty spicy). 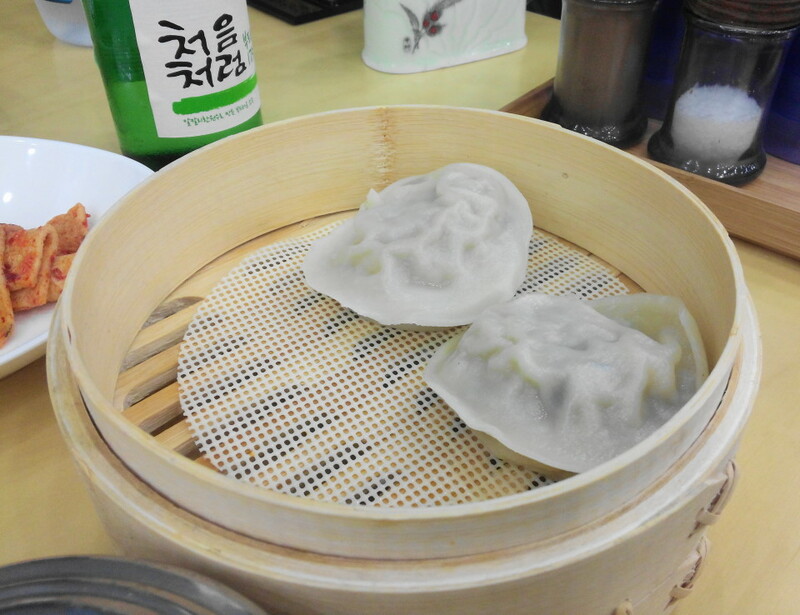 It goes well with Soju, Beer or just water. 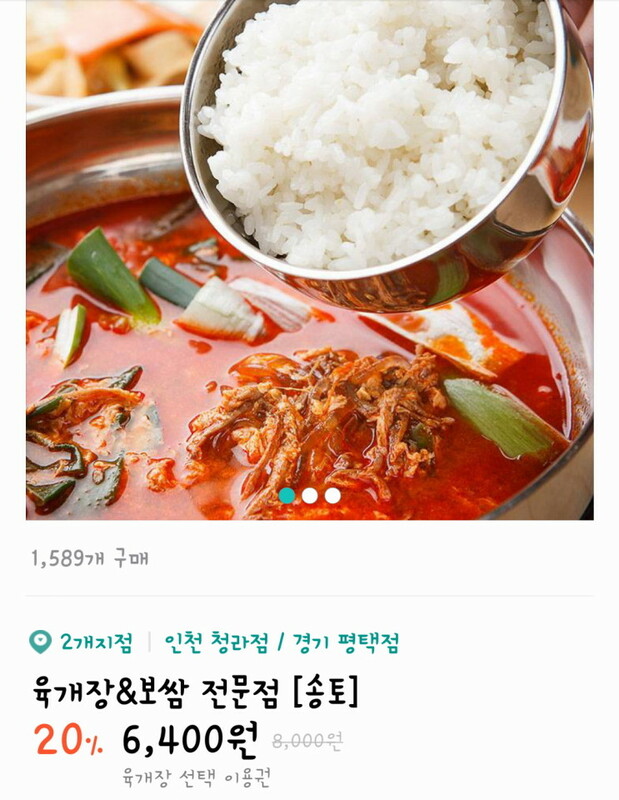 If you search for 육개장 on either Naver or Daum Maps (maybe Google) a huge number will pop up. There’s generally at least one in every area. As always if you have any questions about Spicy Korean Beef Stew / YukGaeJang or Korean Food in general please feel free to let us know. Either below, by Email or via Twitter or Facebook.